Pioneer has been providing workers compensation transcription* since 1990. We specialize in transcribing verbatim witness statements, as well as claimant statements. We offer two types of verbatim transcription. You can choose strict verbatim, which includes every um, uh, hm-hmm, false start, et cetera. Or alternatively, you may choose cleaned up verbatim, which still includes every single word spoken, but does not include all the ums, uhs, hm-hmms, et cetera unless it helps with the meaning of the transcript. Being in business for so many years, we understand the importance of providing a readable transcript. We understand that proper punctuation is vital to providing a high quality transcript. Our priorities are to provide an accurate, readable transcript. We also understand how important it is to transcribe every word correctly. We take this very seriously and are constantly performing quality control on all work product we produce. 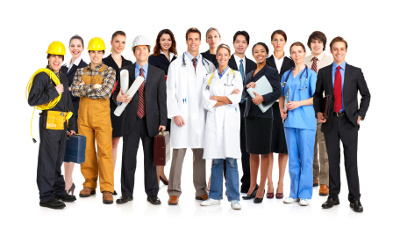 We are able to handle large volumes of workers' compensation interviews because we have a superior pool of United States transcriptionists who are well trained in transcription, including researching correct spellings, knowing workers' comp vocabulary, listening carefully to what is being said, and typing exactly what is being said. You can upload multiple audio files to us using our secure file transfer service. We offer very fast turnaround without sacrificing quality. We also offer our typing services to individuals who get an audio file of their workers' compensation appeals hearings and would like to have it transcribed. Having this transcript can be very helpful to individuals going through this process. Our prices are straightforward at $1.50 per audio minute. You may contact us at any time for more information.